CPS offers hosted payroll services for businesses who prefer the flexibility and security that an offsite solution provides. Read below to learn more about how online hosting can enhance the payroll process and improve the security of your valuable employee data. 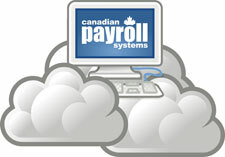 If you are one of the hundreds of businesses across Canada who already use our GrandMaster Suite payroll solution, or you simply prefer the flexibility and speed of desktop software, we can host it for you. CPS will install and configure the latest version of GrandMaster Suite payroll on our secure servers and provide you with a login that you can use from your workstation or laptop or tablet PC. Keep employing the power of GrandMaster Suite's long proven multi-user desktop payroll system without having to worry about applying updates or making backups. And if you're currently using GrandMaster Suite in a desktop setting, we can move your data to our secure server so you can continue processing your payroll from anywhere at anytime. You can even print directly to your printer and have access to your local drives. As always, if you need support from one of our payroll specialists, we can access your payroll and provide the assistance you need. With advance notice, CPS can also serve as a payroll processing backup for you when your regular payroll staff is on vacation or leave. Call 1-800-665-5129 now and get started with a CPS hosting solution today!